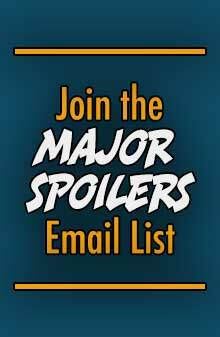 I’d like to think everyone in the world is reading our little site, but it still amazes me when comic creators big and small stop by Major Spoilers to say “Hi”. Warren Ellis didn’t really stop by to say hello, but Warren Ellis.com did link to Major Spoilers earlier today after we posted the sneak peek to his upcoming newuniversal: shockfront #1 title appearing in your LCS this May from Marvel Comics. 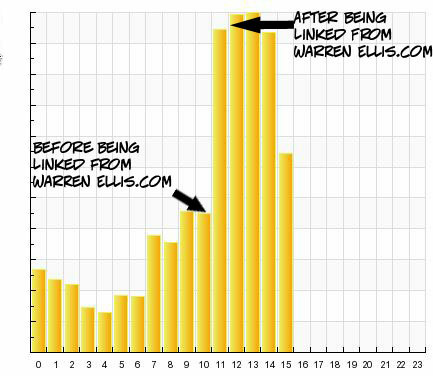 Thanks Warren Ellis, from WarrenEllis.com, your link love is appreciated on a slow Friday afternoon. 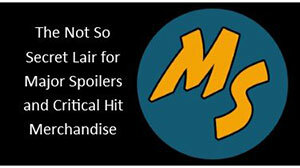 And if you ever get the urge to appear on our Major Spoilers Podcast, you are always a welcome guest. Yet another reason why he’s one of the greatest comic writers in the business. 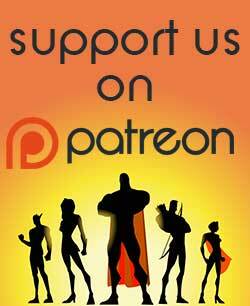 Although if he does do the podcast, Ix-nay on the Underbolts-Thay, right?